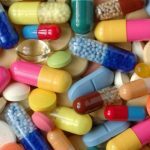 Are you suffering from hair loss problem? Or you want to grow longer hair? Don’t worry when you have castor oil in your almarah. 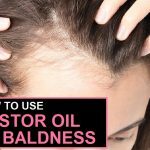 This miraculous oil has solutions to all your hair problems. 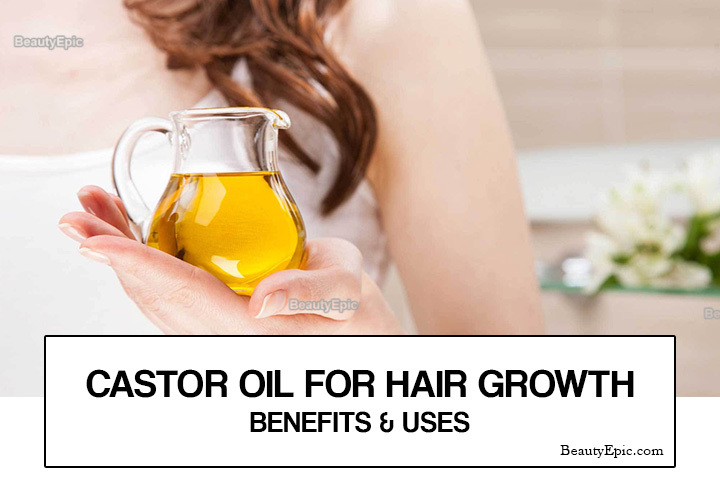 Let us read to know how effective castor oil for hair growth faster. Castor oil has been used therapeutically for many hair related problems. It contains enough protein content which helps in hair growth. It is rich in antioxidants which support the keratin in hair and make them stronger and less frizzy. Regular use of castor oil boosts our hair growth by 3-5 times the usual rate. 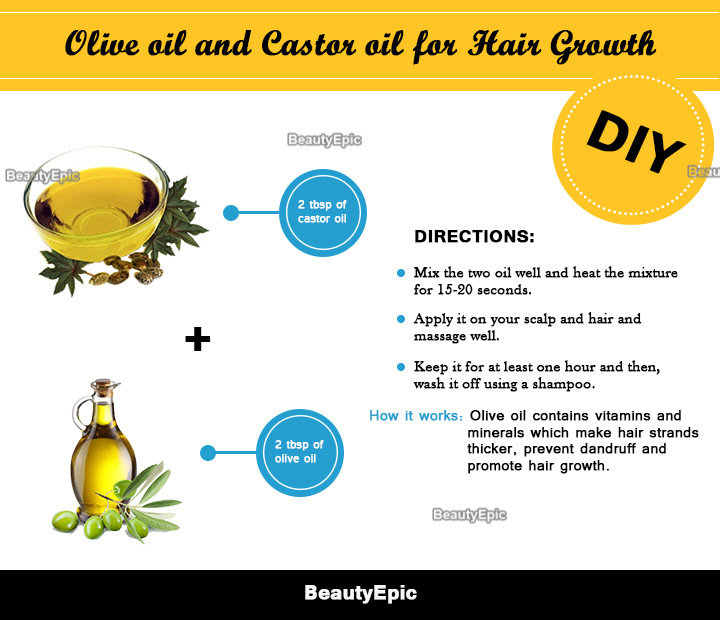 Castor oil can be used alone as well as with other oils for hair growth. 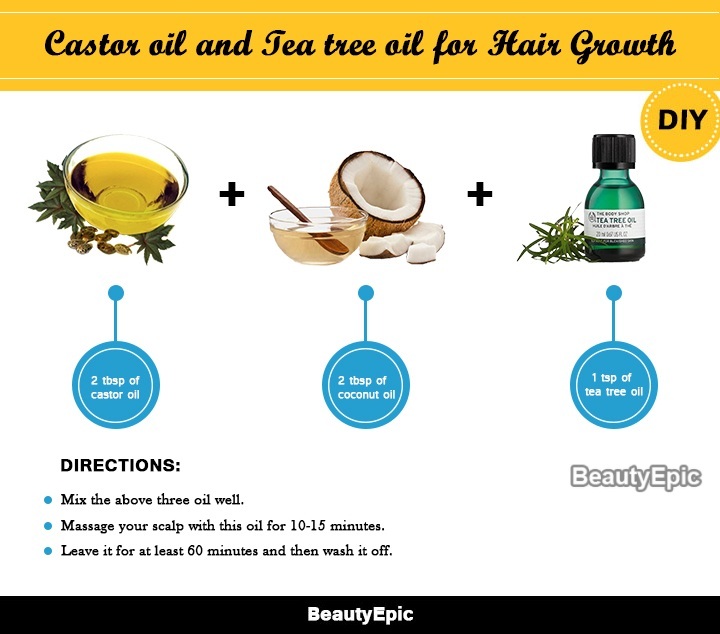 Some of the ways to use castor oil for fast hair growth are provided below. Apply castor oil to your hair roots and scalp using your fingertips and massage well. After applying, cover your hair with a plastic cap and then, wrap a towel around your hair. Remove the towel and plastic cap after 15-20 minutes. Allow the oil to sit overnight and then, shampoo your hair using lukewarm water. How it works: It improves blood circulation in the scalp and nourishes it which reduces hair fall, promotes hair growth, and makes our hair shinier and smoother. Tips: Take a healthy diet and enough sleep to make your hair grow thicker and stronger. Mix the two well and warm the mixture a little. Apply it on your scalp and hair and massage well. Keep it for at least one hour and then, wash it off using a shampoo. How it works: Castor oil and coconut oil contains antibacterial properties which keep scalp infection free and promote hair growth. Tips: Leave the mixture overnight on your hair for better results. Add 3-4 drops of peppermint oil to castor oil and mix well. Apply this oil to your hair and scalp and massage using your fingertips. Leave it for 2-3 hours and then, wash it off using a shampoo. How it works: This mixture rejuvenates hair follicles and enhances hair growth rate. Repetitions: Two times in a week. 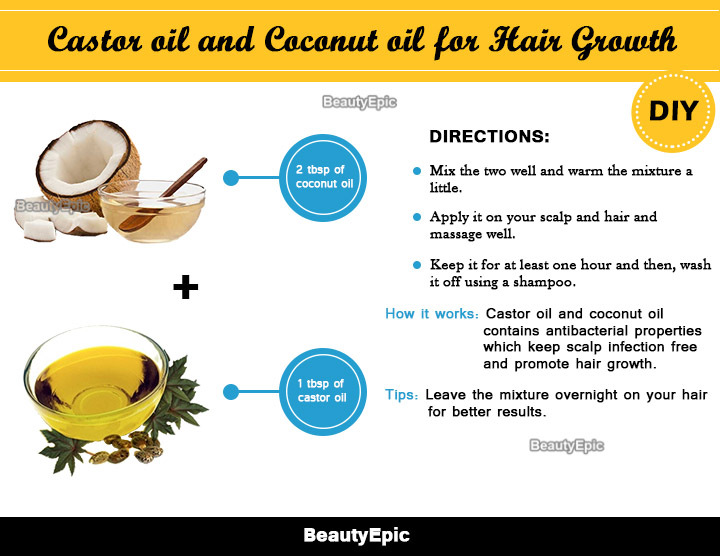 Mix coconut oil and castor oil and heat mixture to blend. Add 5-6 drops of rosemary oil to this mixture. Massage your scalp with this oil for 8-10 minutes. Allow the oil to set for 15 minutes and then, wash it off using a mild shampoo. How it works: This mixture increases blood circulation in the scalp and locks the shine of hair which helps grow hair faster and healthier. Mix the above three oil well. Massage your scalp with this oil for 10-15 minutes. Leave it for at least 60 minutes and then wash it off. How it works: Above mixture stimulates hair growth, cures dandruff and makes hair thicker. Mix the two oil well and heat the mixture for 15-20 seconds. How it works: Olive oil contains vitamins and minerals which make hair strands thicker, prevent dandruff and promote hair growth. Make a thick paste of all ingredients using a hand blender. 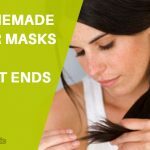 Wear a plastic cap and leave it for 2-3 hours and then, wash it off using a mild shampoo. How it works: This blend prevents hair loss by providing proper nutrition to your scalp and hair and makes hair healthier. Mix the two well and warm the mixture for 10-15 seconds. How it works: This mixture gives magnesium and zinc to your hair and scalp which are essential for hair growth. Mix all three and heat on a medium flame for 10-15 seconds. Gently massage your scalp with this oil. Wrap a towel around your hair. Leave it for an hour and then wash it off using a shampoo. How it works: This mixture nourishes your hair and scalp and encourages hair growth. Tips: Use lukewarm water to damp your hair and scalp before washing. Mix the two in a bowl. Gently massage your scalp with this oil and let it sit for at least 30 minutes. After 30 minutes, wash your hair using a shampoo. Along with this, 1 biotin capsule daily, on an empty stomach in the morning. How it works: Biotin vitamin (B7) provides overall nutrition to the scalp and hair which makes hair healthier, stronger and longer. Repetitions: 3 times in a week. Cut cayenne pepper into small pieces. Add castor oil to it. Pour this mixture into the glass bottle and store it in a cool and dark place for 15-20 days. After 15-20 days, strain the mixture and throw the cayenne peppers. Gently massage your scalp with this oil for 10-15 minutes. Allow the oil to sit for at least 60 minutes and then, wash it off. How it works: This mixture increases blood circulation and helps the nutrients to penetrate in the scalp promoting hair growth. Mix the three oil in a bowl. Apply it to the roots of your hair and massage for 10-15 minutes. Wrap a towel around your hair and leave it for 30 minutes. Use a mild shampoo to wash your hair after half an hour. How it works: This blend is rich in minerals which are essential for hair growth. It makes hair thicker, smoother and longer. Mix the above two Ingredients. Apply it to the roots of your hair and gently massage the scalp using your fingertips. Let it stay on for at least an hour and then, wash it off. How it works: This mixture improves blood flow in the scalp which reduces hair fall and promotes hair growth. Crush garlic cloves and mix with castor oil. Leave it for 3-4 days. After 3-4 days, strain the oil and discard garlic cloves. Massage this oil into your scalp and leave it for 2-3 hours. After 2-3 hours, wash your hair using a shampoo and lukewarm water. How it works: It removes toxins and fungal growth from the scalp promoting hair growth. Apply it on your scalp and massage for few minutes using your fingertips. Wash your hair after 60 minutes using a shampoo and lukewarm water. How it works: Its soothing and moisturizing qualities help reduce dandruff and accelerate hair growth. Grind flaxseeds to make a fine powder. Add castor oil to this powder. Apply this oil to your scalp and massage using your fingertips. Cover your hair with a hot wet towel. Let the oil stay on for at least an hour and then, wash your hair using a shampoo. How it works: It provides enough moisture to hair and scalp which reduces the chance of breakage, dryness, etc. 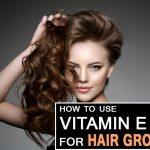 It also balances PH level and oil production which help promote hair growth. For better results: let the oil stay on overnight in all of the above ways and wash your hair next day. Castor oil should be used at least 2-3 times a week for at least two months. 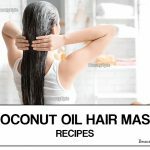 Castor oil is an amazing remedy for hair problems. With a healthy diet and enough sleep, you can use castor oil for hair growth and can get long, smooth and shiny hair within few months. 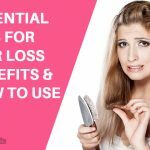 Are you suffering from hair loss problem? Or you want to grow longer hair? 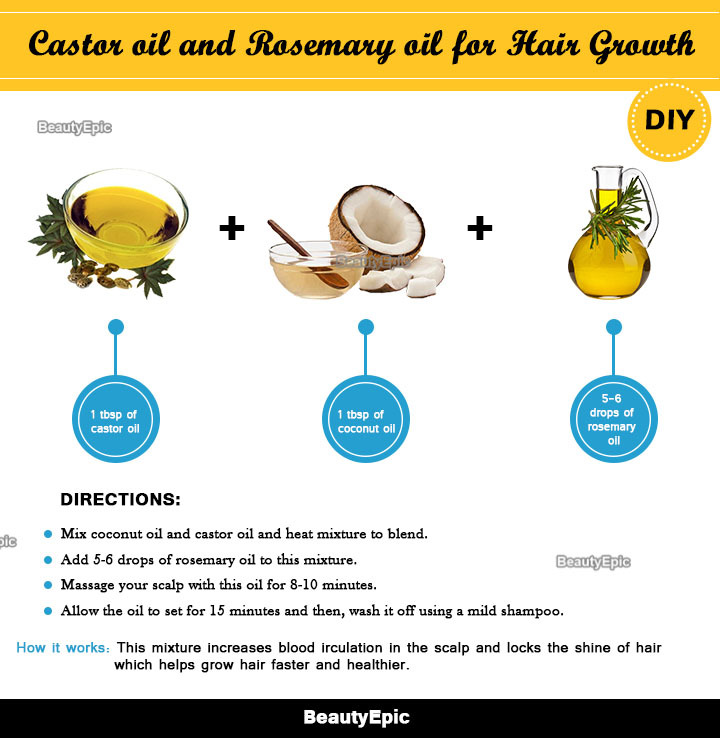 Don't worry let us read to know how effective castor oil for hair growth faster.